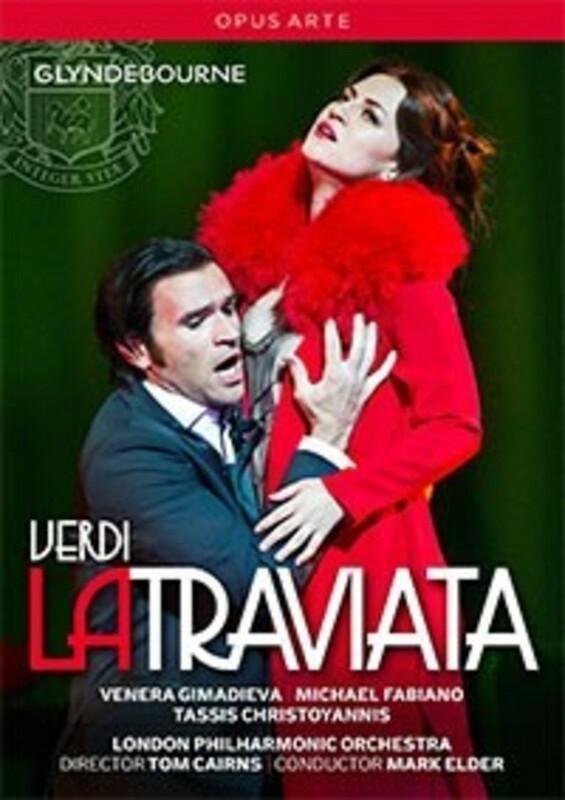 Verdi’s tragic masterpiece is elegantly updated by director Tom Cairns in this ‘fresh and thrillingly unfamiliar' (Independent) Glyndebourne production, in which Violetta’s death is cast as an idée fixe, creating a liberating framework that is well supported by Hildegard Bechtler’s semi-abstract designs. Described as a soprano of ‘huge presence, compelling to watch’, Venera Gimadieva is ‘thrilling’ (Guardian) in her company debut as the doomed courtesan, well matched by Michael Fabiano’s sharply suited and ‘robustly-sung’ Alfredo (Financial Times), with Tassis Christoyannis delivering an imposing performance as the formidable Germont père. Conductor Mark Elder reveals his mastery of the opera’s dramatic shape, coaxing each and every nuance out of the London Philharmonic Orchestra to create beautifully stylish music-making.